Sold. 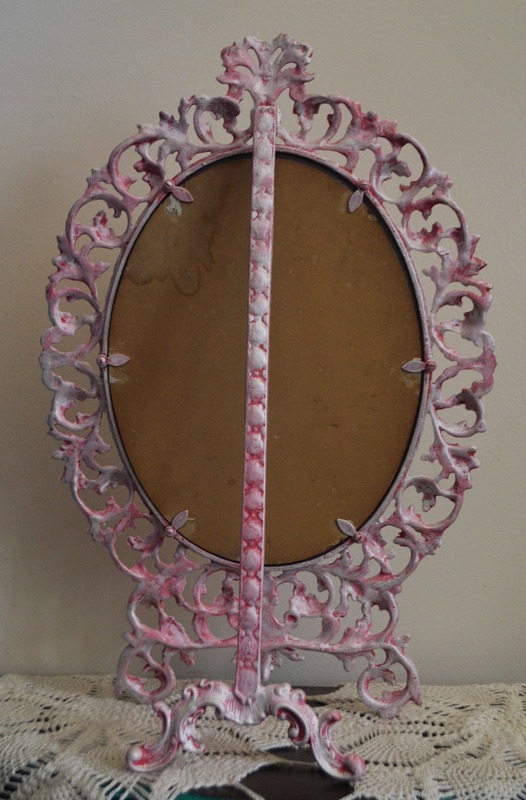 Imagine this little Princess mirror on your make up table or your little girl's vanity. 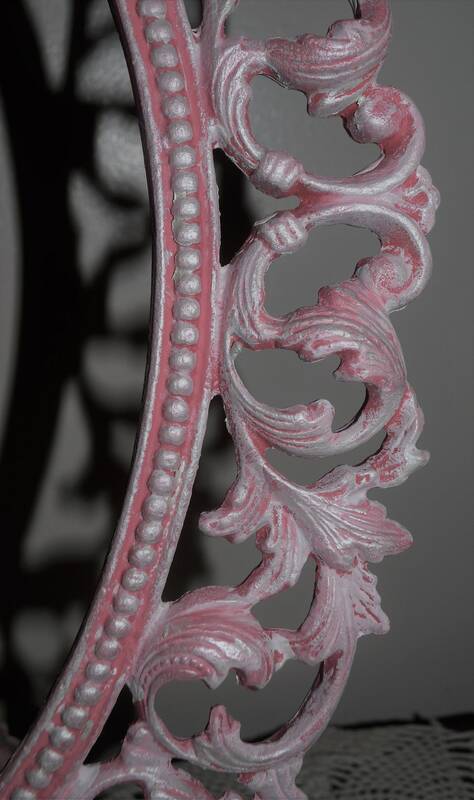 Layers of soft raspberry, rose and blush pulled together with a light shimmer. This girl has been around since 1964 and is now ready for her new home. 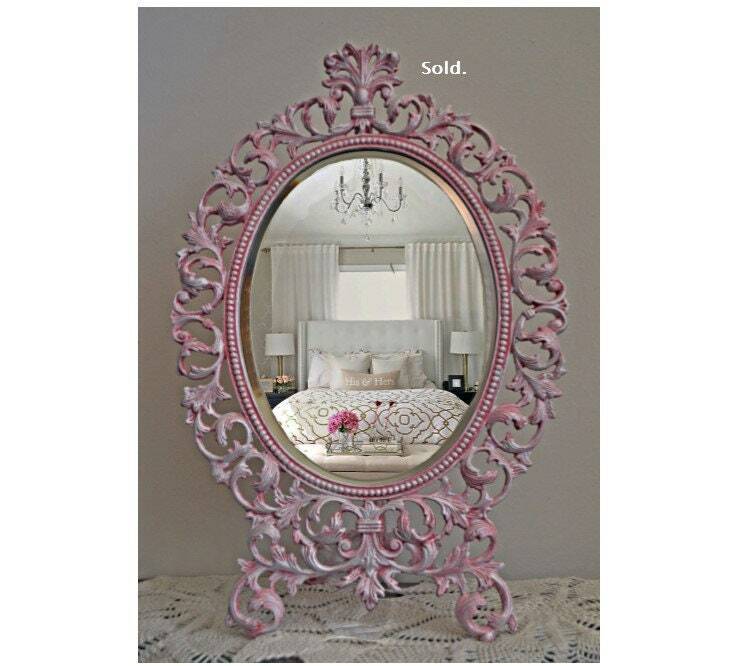 Add this mirror to your bedroom decor and enjoy a piece of the past. Dimensions: 20" T x 13.25" W. Pick up or delivery is available for a fee. Price reflects piece of top that was broken off at some point in its journey. 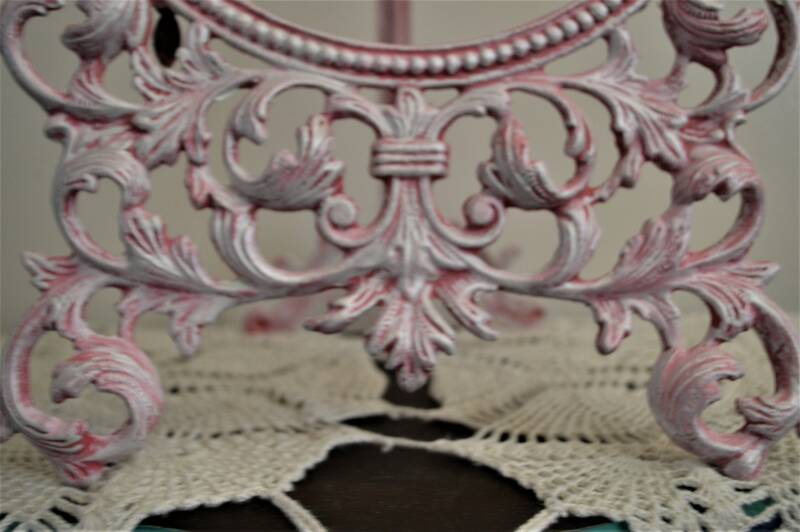 Does not affect its use - just gives it more character. 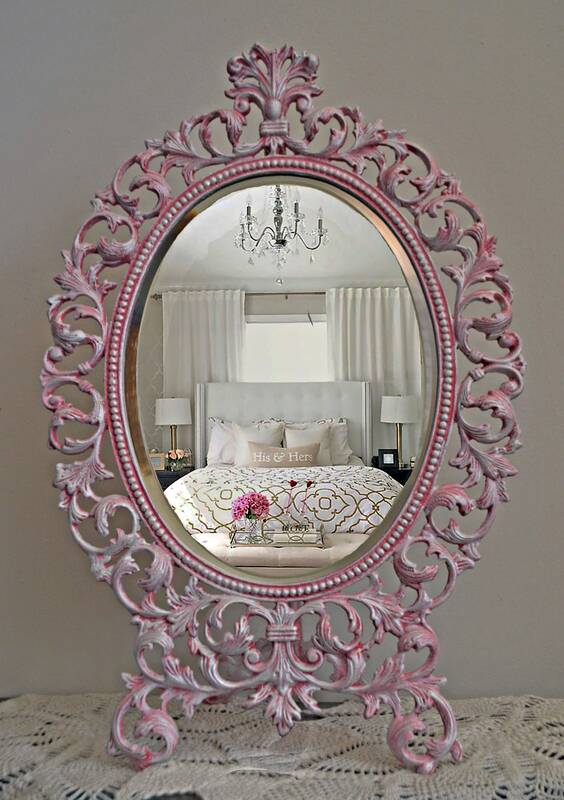 This mirror is made of metal not plastic. ACTUAL SHIPPING COST TO BE DETERMINED BASED ON LOCATION.